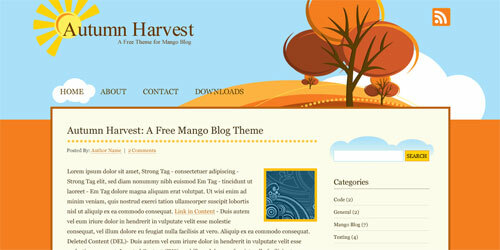 A new theme by MangoWear called Autumn Harvest. Could Mango Be WordPress For ColdFusion? Interesting post by Matt Hill about the potential of Mango Blog. I am biased, so I can't give my opinion, but I am happy to see such enthusiasm from the community. James Harvey has written a plugin that will add a menu item in your blog admin to read documentation on how to create plugins and customize your blog. You can download and read more at James' blog. Mel Williams has created a plugin that will send notifications to all authors of a blog when a new comment is added. You can read more at Mel's blog and download from RiaForge. Matt Hill has created a plugin that will insert random strings into a particular place (by the use of a custom tag) or into the sidebar as a pod. You can read more and download it from his blog.